Hockey night in Canada! The Playoffs! 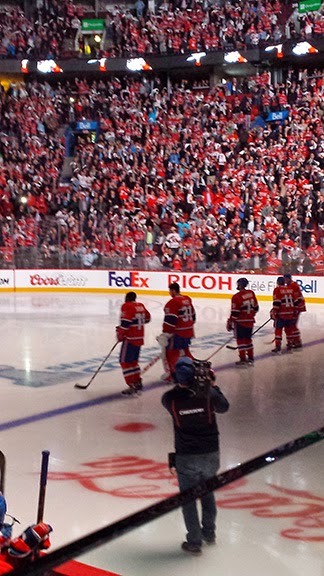 The road to the Stanley Cup and I…..WAS….THERE. 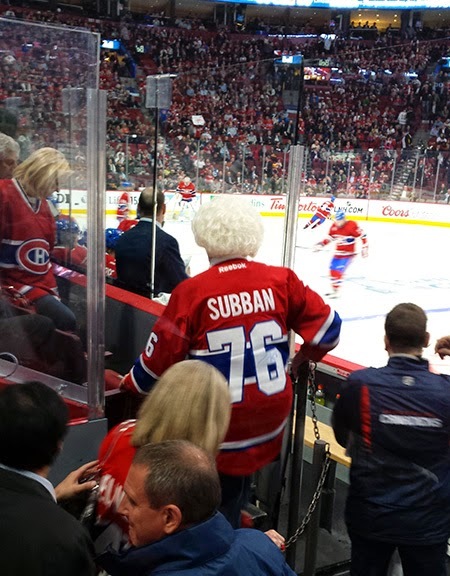 Being at the game was exciting….people with painted faces wearing goofy hats and hockey shirts. Famous people, drunk people, laughing people and some people who had only the vaguest idea of what was going on with the game. Oh, that was me. I may not know the game, but I know fun when I see it! 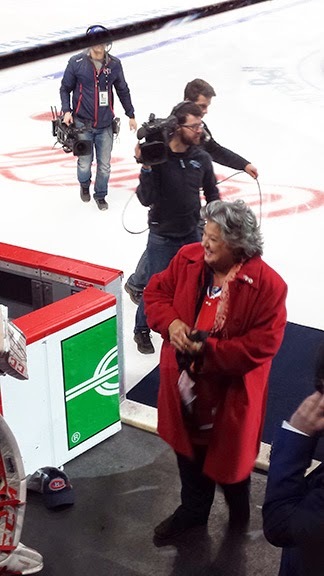 I did pick up a few tips to pass on if you’re a non-hockey person attending a game, especially if you’re with a knowledgeable crowd and don’t want to seem too dense. · If they give you a towel or something similar when you first go in, it’s not a souvenir to store in your bag. You’re supposed to wave it around. Don’t worry – they’ll tell you when to do it. All the little white dots are towel wavers. · Remember what color uniform your team wears. It makes the whole thing easier. · When your team skates really really fast to the opposing team’s side of the ice, get up and yell “shoot…shoot….SHOOT” If the player doesn’t SHOOT you can swear and bang yourself on the head because...well, because. 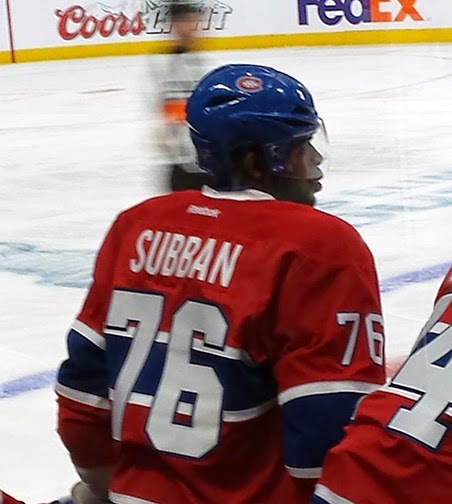 · After the first period be careful who you cheer for because they switch sides! It’s true! Your net is now on the opposite side of the ice. the sweaters are the same. Don't be fooled. · Don’t make a joke about the game on Facebook because people apparently take the whole thing very seriously and won't laugh. I guess that’s it. Chances are I won’t go to another game for a long long time, if ever, so don’t come back looking for another tip sheet, this is a one time thing.